The Millennium Seoul Hilton will offer a personalized wedding package designed to provide a once-in-a-lifetime experience for couples from Oct. 13 through Dec. 22. The package is for a minimum 100 guests and to be held after 5 p.m. on Fridays and Sundays. Various discounts are available for food, wine and decorations, among others. 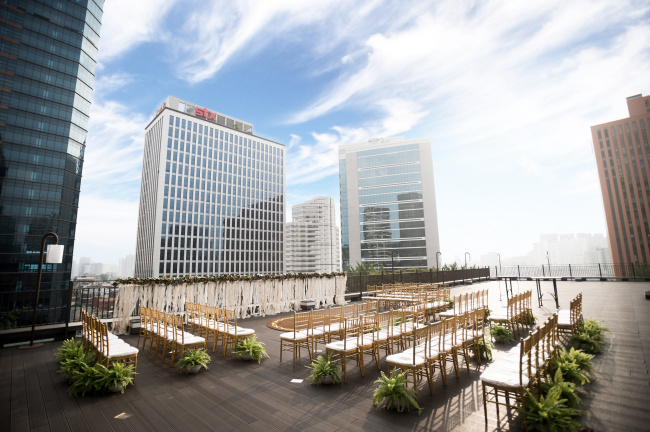 For more information, call the hotel’s Wedding Gallery at (02) 317-3431 or visit www.thehwedding.co.kr. 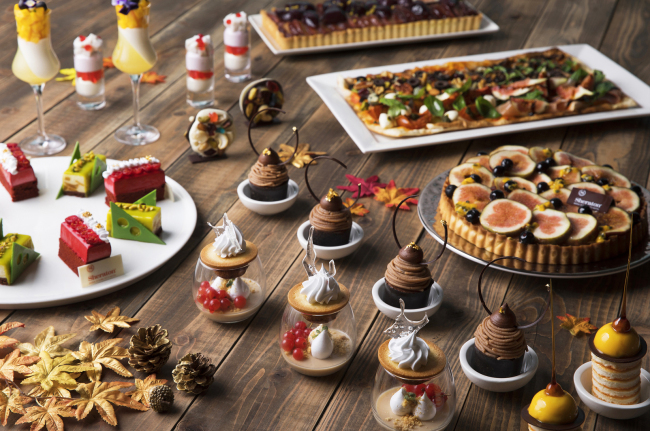 The Sheraton Seoul D Cube City Hotel’s Lobby Lounge Bar on the 41st floor will offer a dessert buffet, “Sweet Autumn Delight,” from Sept. 2 through Nov. 26 on weekends and public holidays with two seating times. Various desserts made with fresh fruits are available, including a fig pound train cake, macadamia pecan pie, lemon tart, apple and pear square pie, fig blueberry tart, Mont blanc with walnut, caramel apple mousse cake, orange angel chiffon, classic chai tea latte panna cotta, raspberry ripple, yuzu trifle, sweet potato autumn fool and chocolate nuts bites. The Hilton Namhae Golf and Spa Resort, located in front of the sea with top-class accommodations, is offering a late summer staycation package through Sept. 29. The package features a one-night stay in a suite, breakfast buffet, access to the spa and a cosmetics kit for 294,000 won for two on weekdays. 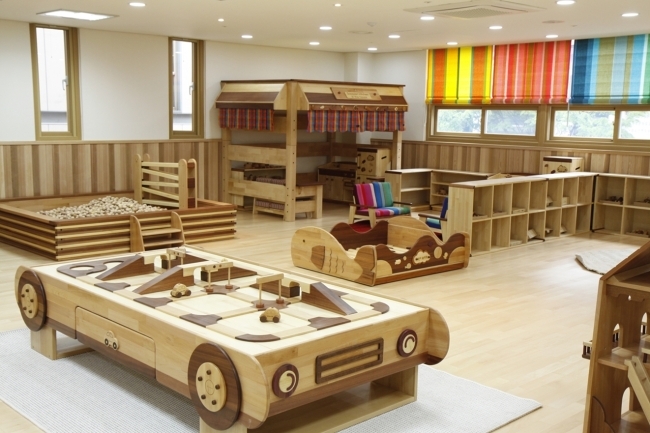 The resort has golf courses, spa and sauna facilities, a party room, and is located 390 kilometers from Seoul. For information and reservations, call (055) 860-0555 or visit www.hiltonnamhae.com. Park Hyatt Seoul will offer an autumn staycation package from Sept. 1 through Nov. 30 starting from 335,000 won at a regular room and 435,000 won for a suite. 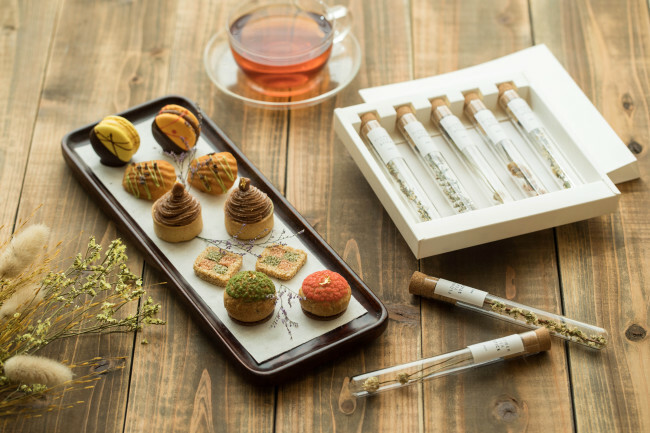 The package includes flower tea, breakfast buffet at restaurant Cornerstone, a dessert plate of mini Mont Blanc, green tea madeleine, macaroons and hangwa, as well as valet parking service. Guests have access to hotel’s swimming pool, fitness studio and sauna. For information and reservations, call (02) 2016 1100 or visit seoul.park.hyatt.kr. The Grand Hyatt Incheon will offer a Chuseok package from Sept. 29 through Oct. 9, with up to a 20 percent discount for those booking through the end of August. 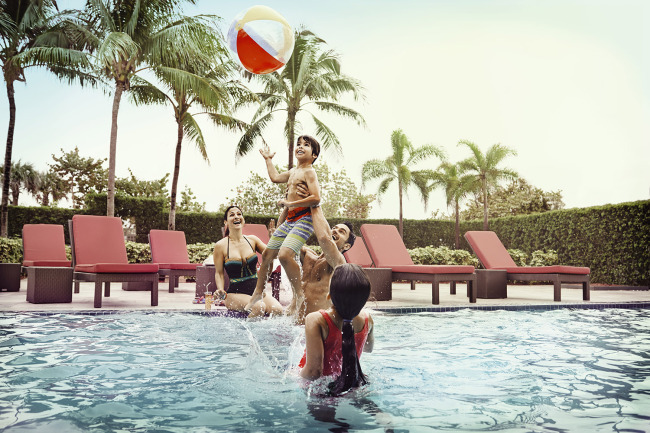 The “Fun” option of the package includes a one-night stay in a guestroom, breakfast for two adults, access to the Wooden Playground for children, the hotel’s three swimming pools, sauna and fitness center. The “Full” option includes all of the “Fun” option plus a dinner buffet for two adults, and free meals for children under 12. The “Fun” option starts from 250,000 won and the “Full” option starts from 350,000 won. For reservations and information, call (032) 745-1000 or visit the website at Incheon.grand.hyatt.com.